As embodiments of innocence corrupted by evil, darkness and murderous desire, the children of horror are truly terrifying. Beyond the glowing red eyes, satanic possession and thirst for blood they’re just children, but let’s face it, there’s nothing scarier than an adorable psychopath. 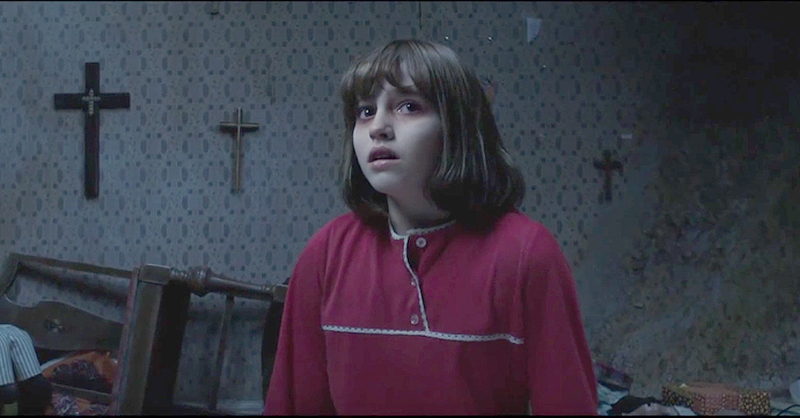 With the release of The Conjuring 2 on Blu-rayTM and DVD on October 17th, we’re taking a look at the sinister little sweethearts that scare the living daylights out of us. Michael Myers looks positively adorable in his new clown costume, it’s such a shame that the little psycho had to go and stain it with his sisters blood. The cult-classic Halloween follows the story of Michael Myers who stabbed his sister to death on Halloween, only to escape from his mental institution 15 years later to track down his next victim. Who knew they were starting so young? Roaming the halls of the Overlook Hotel, this devilish duo could only be seen by little Danny who was just wheeling around the hotel on his tricycle. 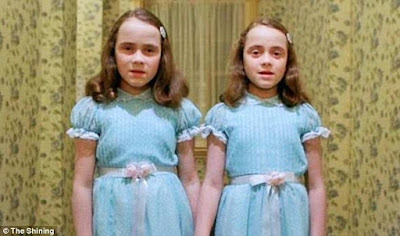 Gifted with the power of ‘shining’ Danny saw the twins appear holding hands, where they utter the ever haunting “come play with us Danny. Forever and ever and ever.” These sisters are officially the creepiest kids in the history of cinema. Okay, so ‘videotapes’ are majorly outdated, but the idea of a twisted child poltergeist crawling out of the screen still sounds pretty terrifying in the digital age. After watching this video filled with lurid images, the phone rings and a demonic foretells of the watchers death in exactly 7 days. 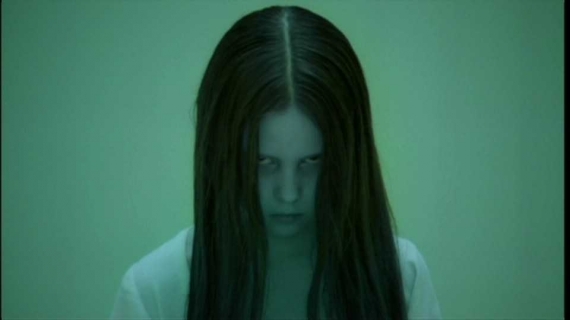 One thing is for sure, Samara’s dripping silhouette crawling from her well is a haunting image that never leaves you. 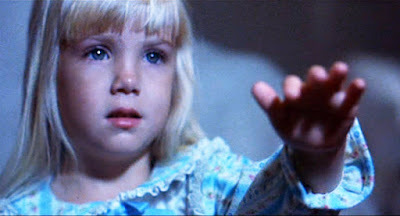 This little girl isn’t even evil, but her conversation with a static TV screen sent shivers down spines worldwide and the unnervingly gleeful “they’re here”, which has become one of the most iconic phrases in horror. The original instalment in the franchise follows the story of an unknowing Californian family whose home becomes haunted with various poltergeists. These beings communicate only with their daughter Carol Anne through the families (very retro) TV set, and drag the poor girl into a swirling portal to their dimension through her wardrobe. And what’s the lesson from this movie? Don’t build on graveyards, it never ends well. The setting? Enfield, London. The problem? Just a demonic spirit possessing an 11 year old girl and almost killing her entire family… No biggie. The Conjuring 2 follows the paranormal investigators Ed and Lorraine Warren as they travel to London in an attempt to better understand the strange occurrences. The second oldest daughter of the Hodgson clan quickly begins to show signs of demonic possession when crucifixes begin to turn upside down and she is pinned to the ceiling. Blood curdling screams, hands grabbing from the shadows and a petrifying nun will scare you senseless in the latest addition to The Conjuring series.